In the smartphone world, Android devices are ubiquitous. With the number of Android powered phones worldwide closing in on 2 billion, Ayoka’s Android app development services will prove to be a smart investment. Android commands 80% of the mobile phone market. Simply put, if a business wants to reach the most amount of potential clients and maximize success, Android is the way to go; their reach is undeniable. Android uses Java as its programming language (much like Apple uses Swift). With Java, comes many advantages. Security is embedded in the design of Java as the programming language, compiler, and run-time environment were created with security in mind. Security gives both the business and consumer peace of mind. Aside from Java’s robust security, it simply works and is malleable to the needs of the programmers. It is object-oriented and allows developers to create modular programs and code that is reusable for the future. Android makes it easy for a business to develop an app exactly as intended for profitability. Through the Google Play Store, an app can be available for users within hours, compared to weeks with Apple’s App Store. Anyone can develop an android application from any computer, whether it be Mac, Windows, or Linux. This allows for creativity, and makes certain the mobile app has the functionality needed by the users. Google does its best to provide minimal roadblocks for businesses to achieve profitability. Creating applications on the Android platform proves to be highly profitable. 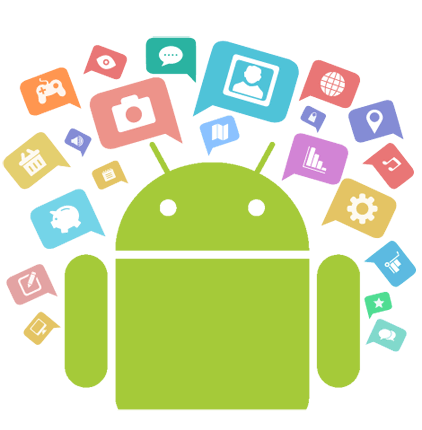 Contact Ayoka, in Texas, at 817-210-4042 to inquire about our Android app development services.